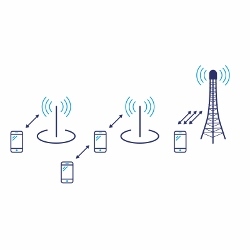 WiFi has been considered as an offload mechanism since the introduction of LTE in 3GPP Rel-8. However, the initial inter-working between the two Radio Access Technologies (RATs) was very loose, with WiFi connected to the Evolved Packet Core (EPC) with the help of add-on functions (such as ANDSF hidden deep in the network) making suggestions for switching flows to WiFi. As a result the UE was only suggested to change RAT to WiFi after certain conditions were met. 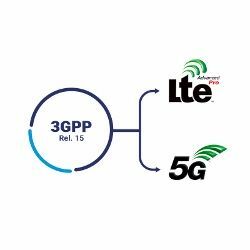 As we are making progress with the 3GPP standardization, the integration of the carrier-WiFi to the cellular RATs is more and more tight with Rel-13 specifying a RAN-level inter-working within LTE-Advanced Pro. 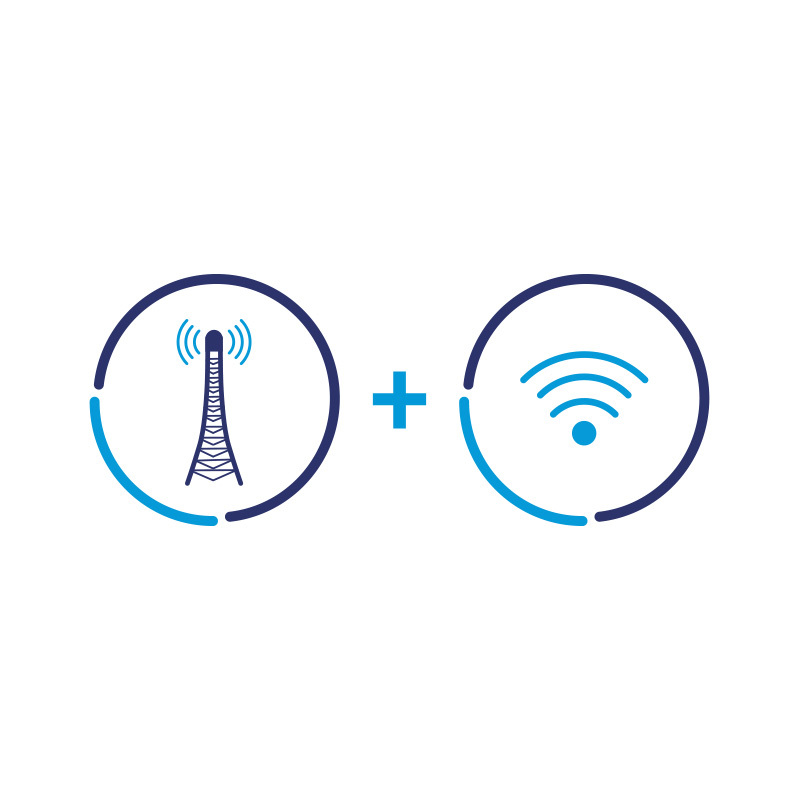 LTE-WLAN Aggregation (LWA): is basically an evolution of Dual Connectivity¹ (as specified within Rel-12), where the secondary link is provided by the WiFi Access Point (AP). This mechanism involves very tight resource aggregation, where a single DRB can be either switched very fast between LTE and WiFi link or split and provided simultaneously by the two RATs. However, in order to be able to do that, the WiFi network needs to be upgraded with the WT (WLAN Termination) logical entity and support Xw interface. Additionally, the UE needs to be upgraded with LTE-WLAN Aggregation Adaptation Protocol (LWAAP), to be able to properly route the PDCP PDUs coming from WiFi link. RAN-Controlled LTE-WLAN Interworking (RCLWI): is also based on WT and Xw interface upgrade of the WiFi network for control signaling, however, the User Plane (UP) bearers instead of going through the LTE eNB are routed through a CN with WiFi legacy link. This is rather a bearer handover (or an offload) than an aggregation compared to LWA, however still the UE is controlled by the network to receive the data from WiFi link, instead of taking this decision by itself. Compared to LWA, this solution doesn’t require the UE to be upgraded with LWAAP. 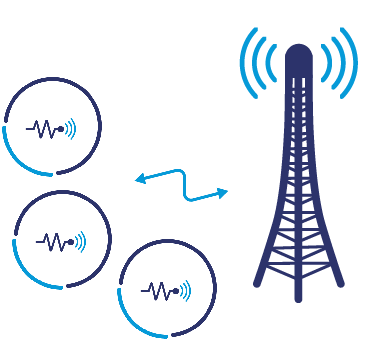 LTE-WLAN Radio Level Integration with IPsec Tunnel (LWIP): provides the possibility to aggregate resources from WiFi and LTE simultaneously (similar to LWA), but without requiring the upgrade of the WiFi network (i.e. enabling the use of legacy WiFi networks). The WiFi link is managed by the LTE eNB, however instead of the LWA-like flow control and use of LWAAP, an IPsec tunnel is established between UE and eNB. The splitting of bearer is not possible as the aggregation is done at IP level. 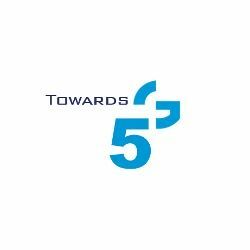 LWA provides the tightest resource aggregation, whereas it requires highest level of upgrade on the different entities involved. LWIP allows the use of legacy network, still enabling the resource aggregation on the RAN level. RCLWI on the other hand requires an upgrade at the network side, but doesn’t require UE to be upgraded. This mechanism doesn’t allow very tight resource aggregation as the WiFi link is anchored at the CN side.